SIRF17 was full of incredible performances and magical moments for all who attended. The festival celebrated 30 Years of SIRF with shows that will be remembered for many years to come. A breathtaking high wire act brought the programme to an exhilarating close as crowds gathered at Stockton’s Trinity Green to watch ‘Fire Wire Spectacle’ by British show makers Cirque Bijou. 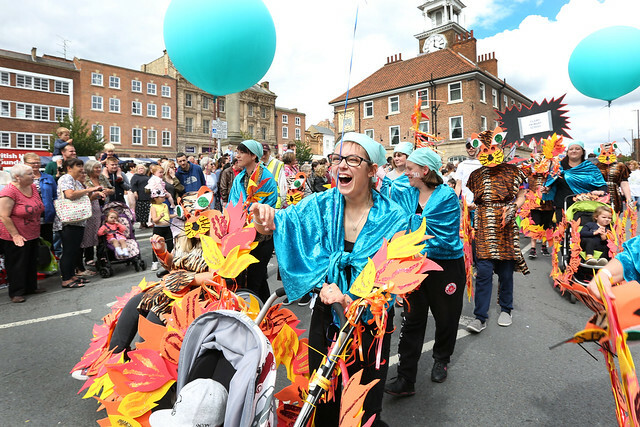 There was something for everyone across the four amazing days of SIRF17, including theatre, circus, dance, and even virtual reality! Thousands of people enjoy a weekend of fun and entertainment with up to 30 individual shows performed each day ensuring no two days were the same. Highlights included the UK premiere of ‘Frameshift’, a vertical performance featuring contemporary and b-boy dancing set across three aerial rigs, a birthday-themed SIRF Community Carnival, fantastic family shows and stunning night-time spectaculars! We’ve had some great feedback, and there some amazing images (check out Social SIRF for all the tweets and facebook posts).